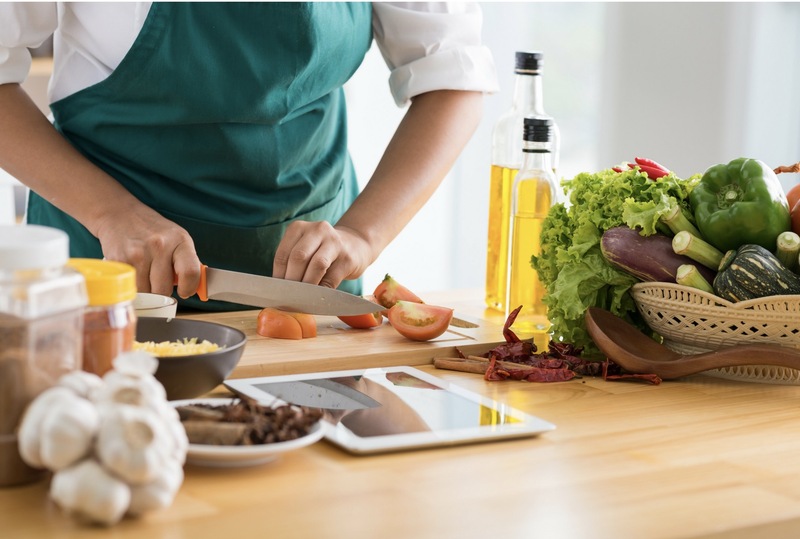 In a proprietary research study completed by Picasso Foods, LLC in 2016, 55 men and women participating in recreational cooking classes in Richmond, Virginia were asked about their habits, aspirations and trepidations about cooking. The respondents had a self-reported cooking experience score of 3.24 on a scale of 1 to 5, with 1 being inexperienced and 5 being very experienced. 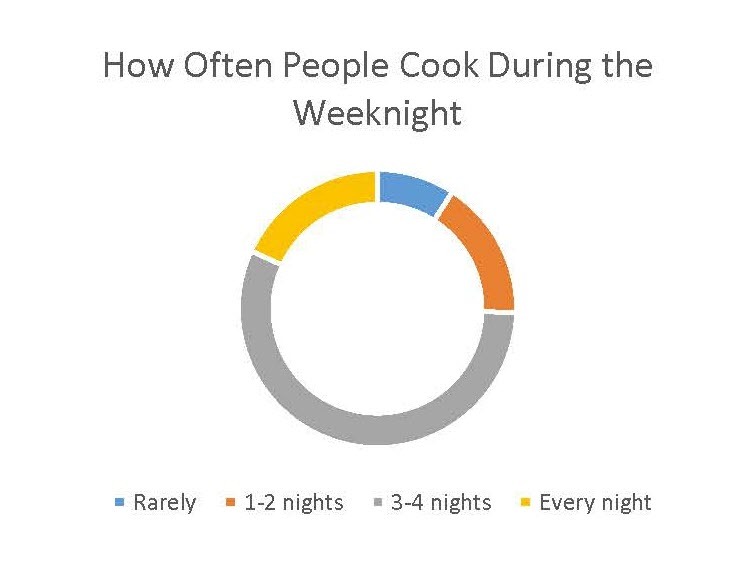 More than half of the group surveyed cooked 3-4 nights during weeknights. The second most reported frequency was every night (18.2%) followed by 1-2 nights (16.4%). Only 9.1% of the group indicated that they cooked rarely. 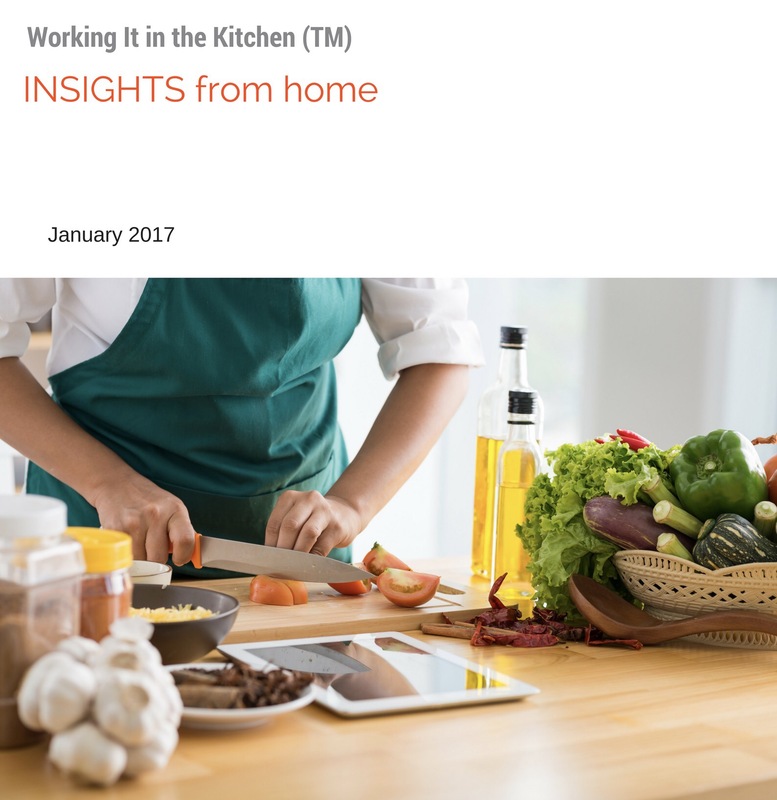 The majority of respondents indicated that they primarily cooked at home because they liked that it allowed them to eat healthier than if they were to eat out. The joy of sharing a meal with friends and family (24.7%) and saving money (23.3%) were the next most common responses, and the fun of trying new recipes garnered 17.8% of responses. The most prevalent go-to meal was chicken. Vegetables and salads were also frequently cited, and pasta and fish followed respectively. When asked what they would want to learn in the kitchen, responses were split between skill/technique and the preparation of specific foods. Technique oriented interests included things such as knife skills, understanding flavor pairings, and dry cooking methods; specific food interests spanned from preparing sushi to cooking lasagna to making omelets. 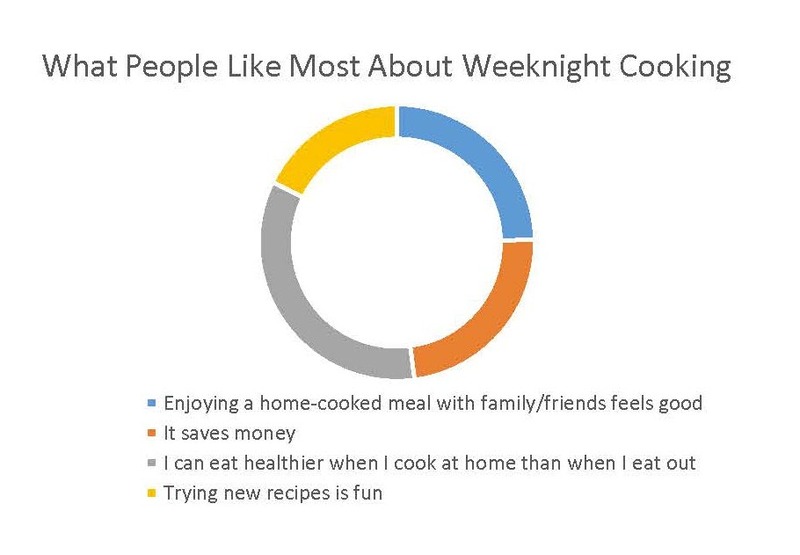 Perhaps not surprising since the vast majority of respondents were working professionals ranging from office manager, to RN, to event planner, and teacher, the most common obstacle to cooking during the week was lack of time at 32.8%. Being tired and not having the energy or ambition to cook followed second at 23.4%. 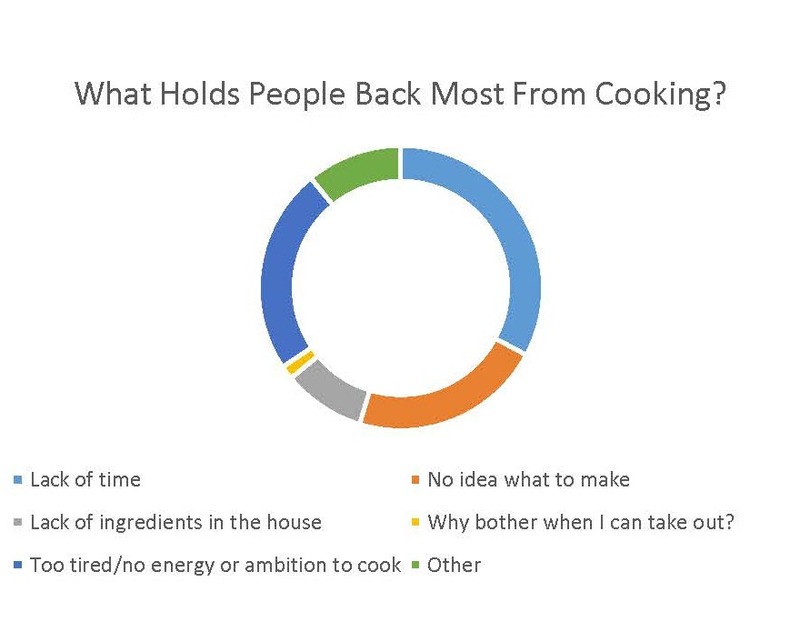 Not knowing what to cook received 21.9% of responses, and lack of ingredients in the house received 9.4% of responses. Only 1.6% indicated that it is not worth bothering when they could easily order in, which demonstrates that there is a genuine desire to cook and that convenience is less of a priority. Picasso Foods, LLC is food-forward company delivering premium brands to meet consumer’s evolving needs. 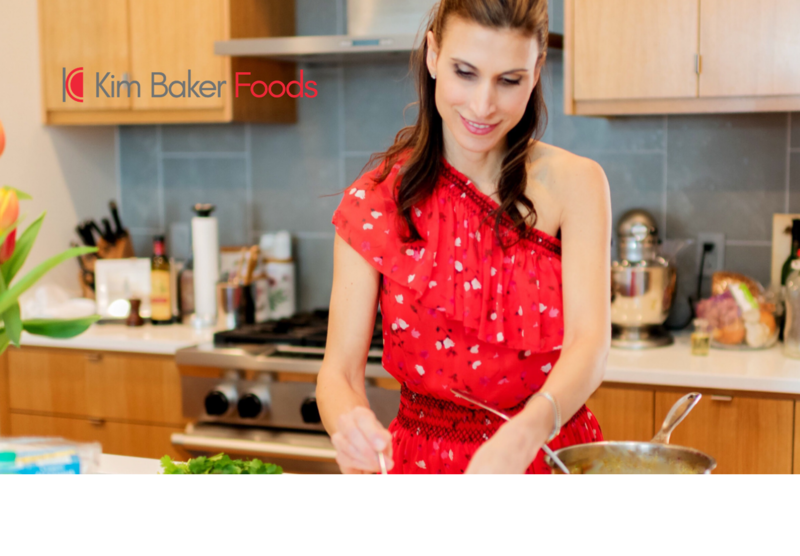 Kim Baker Foods is a culinary platform connecting professionals with food to provide inspiration, ideas, and recipes based on shared experiences. Working It in the Kitchen™ is the culmination of Kim’s decade-long journey exploring the rewards and challenges of weeknight cooking and what matters most to home cooks. Through the website, www.kimbakerfoods.com, and cookbook, Working It in the Kitchen™: Food for the workweek, cooking is made more accessible amid the steady beat of life.